Cabbage Soup Recipe - One That Is Really Yummy - Cabbage Soup Diet | Sahrish Adeel - Malaysia based Pakistani Beauty & Lifestyle Blogger! 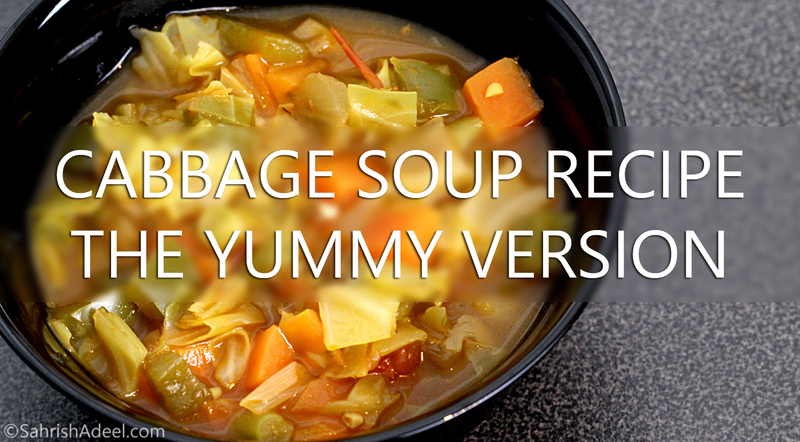 I tried a few recipes for Cabbage Soup for the Cabbage Soup Diet from the web but none of them was exactly what I would actually look forward to eating multiple times a day until I made a few changes to the original recipe and the result was so delicious that even my family wanted to taste the soup. I did not plan to publish recipes on my blog but I posted a few photos on social networks and comments, messages and even emails starting coming for the recipe and diet plan. Hence, the photos you will see in this blog post are all taken from phone so please do not expect high-quality photos. I hope this recipe will help many of you and will help you follow the Cabbage Soup Diet Plan. Now that the disclaimer is out of the way, I want to let you all know that I did not choose this diet plan just so I don't have to workout or I am looking for quick ways to lose weight. All the things I will mention are what I used for my soup. You can change anything you want according to your liking but this recipe is by far the one that I love. 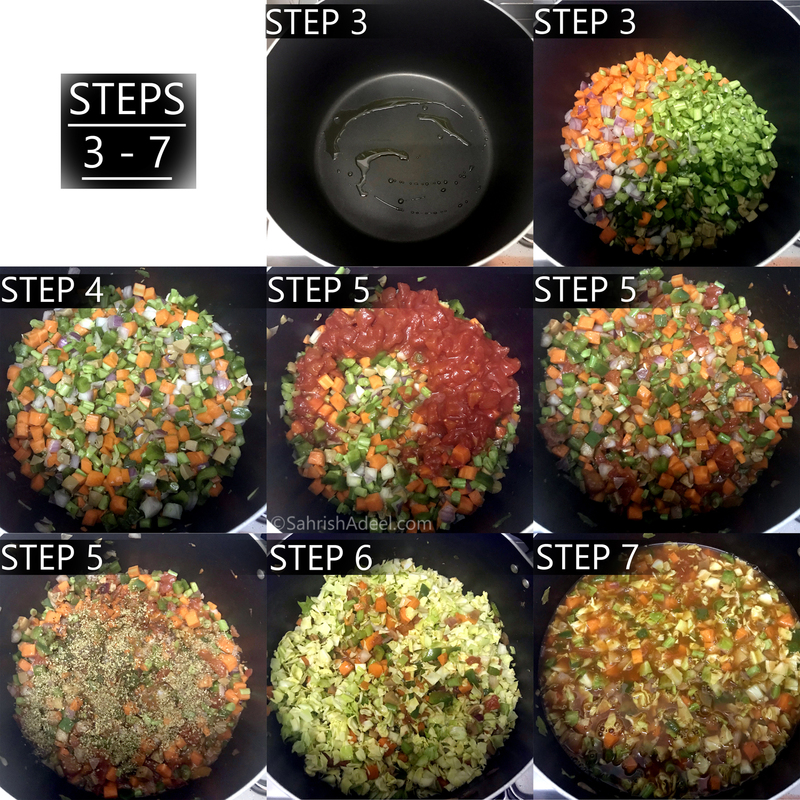 Step 1: Chop all the vegetables to your desired size. 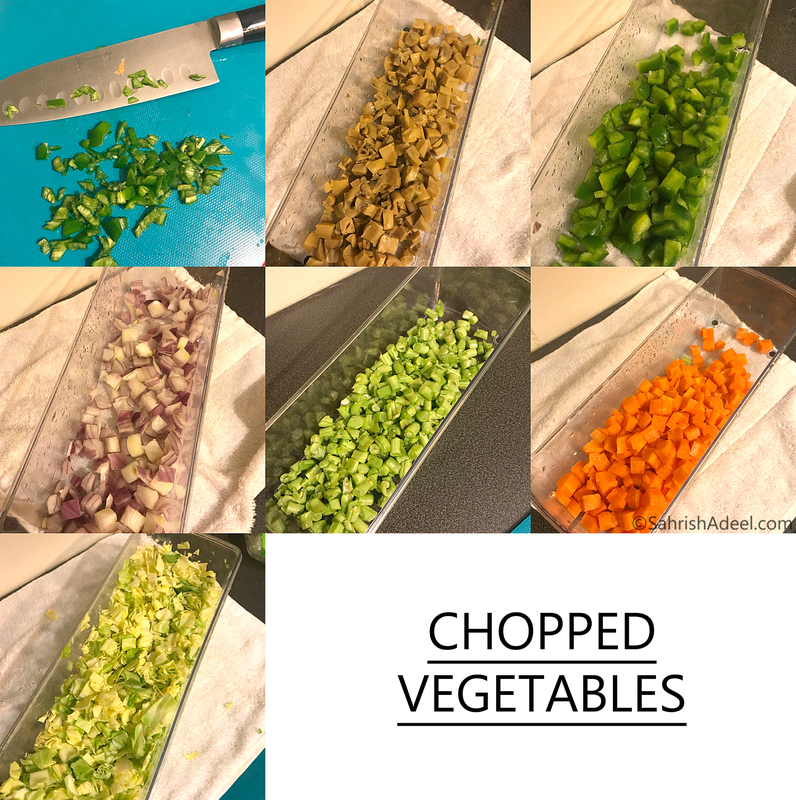 I used Nicer Dicer to chop all my vegetables to a decent size and it saved me lots of time. You can keep chopped bell peppers, green chillis, carrots, onions, green beans and mushrooms together in one bowl for now and these vegetables should weigh about one kilogram. Make sure you drain and rinse canned mushrooms very well. Chopped green cabbage I use for the recipe is almost 500 grams. Step 2: Mix 2 chicken stock cubes in a few tablespoons of hot water and put it aside. Step 3: Heat up 2 teaspoons of olive oil in a large pot and add bell peppers, green chillis, carrots, onions, green beans, and mushrooms. Keep the pot at full heat and stir this for a minute or so, until the onions change the color ever so slightly. Step 4: As soon as the onions change the color, add in chicken cubes that you mixed in some water earlier. Mix well and let it cook for 1-2 minutes. Step 5: Add canned tomatoes and mix. Let it cook for a minute and add 2 teaspoons (heapful) of dried oregano leaves, 1/4 teaspoon of black pepper powder and 1/2 teaspoon of cayenne pepper powder. This amount of cayenne pepper is mild for me. Try adding a little less if you do not eat very spicy food. You can always add more, later. Mix all of this well and let it cook for a minute. Step 6: Add chopped cabbage and cook for another minute. Step 7: Add a little over one liter of water and bring the soup to a boil on full heat. This soup is not as low on salt as the original recipe because I use chicken stock cubes but is still pretty low. If you feel the salt is not enough, try to get used to this flavor. I never add any more salt but a little more cayenne pepper might add a kick for you. You can double or triple this recipe or even halve it. I like to make this exact portion if I am keeping this soup in the fridge. This amount is enough for me for 3-4 days. If I know I might not get enough time to make it again, I either chop everything, seal it in a ziplock bag and put it in the freezer or I double the recipe and freeze the extra soup in small containers. (Desirably, portion sized) Frozen soup is really easy to thaw or even defrost in microwave and it tastes perfectly okay. I hope this recipe will give you some inspiration. Even if you do not want to follow the Cabbage Soup Diet Plan, you can have this soup in a regular routine. I like to take the soup instead of unhealthy snacks and sometimes, if I had a large meal at one time, I go for just this soup for my second meal. 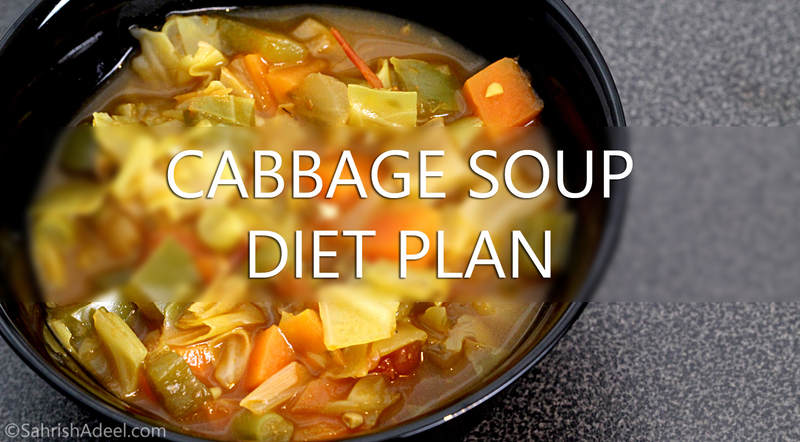 You can find Cabbage Soup Diet Plan here. If you have any questions, confusions or concerns, do not hesitate to leave a comment or contact me on any of my social networks. You can find me on Instagram & Snapchat with my username; SahrishAdeel.